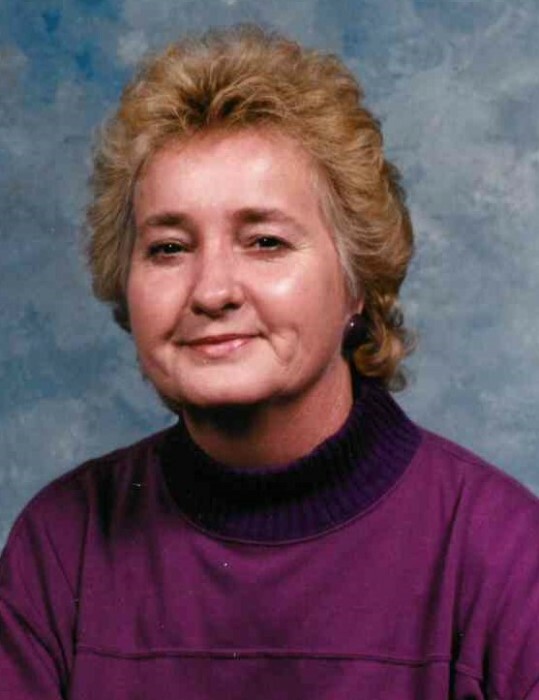 Gail Patrick Hartsell Mashburn, 77, passed away on January 14, 2019 at home. She was born in Cabarrus County, daughter of the late Harold W. and Lucy Carrett Hartsell. She attended Goshen Free Will Baptist Church and was a former member of the Red Hat Society. She is survived by her children, Clinton Keith Mashburn, Stephen Franklin Mashburn, and Douglas Boyd Mashburn and his wife, Robin; her sister, Carol Heffner; her brother, Larry F. Hartsell; her grandchildren, Madison A. Mashburn, Steven C. Mashburn, Joey D. Hornbeak, Hunter M. Mashburn, and Crystal Lowrance; her great-grandchildren, Emerson and Clara Hornbeak; and her former husband, Clinton Mashburn. A service to celebrate the life of Ms. Mashburn will be held at 11:00 a.m. on Friday, January 18, 2019 at the Woodlawn Chapel of Woodlawn Funeral Home, Mount Holly with her nephew, Rev. Jason Hartsell officiating. Burial will follow at Hillcrest Gardens Cemetery. The family will receive friends on from 7:00 pm until 9:00 pm on Thursday at the funeral home. In lieu of flowers, memorials may be made to Gaston Hospice by visiting www.gastonhospice.org. Condolence messages may be sent to the family by visiting www.woodlawnfuneral.org.